Proud to be under Prof. Herminigildo G. Ranera’s wing! 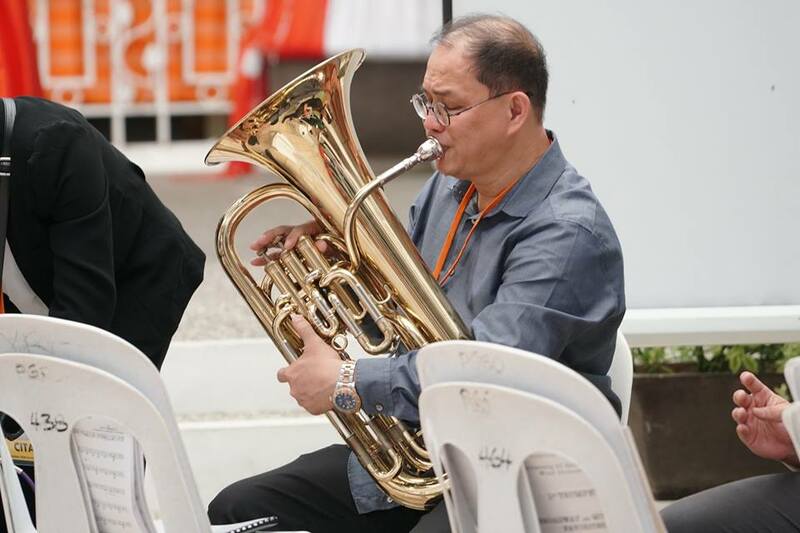 Prof. Ranera is the resident conductor of the Philippine PhilHarmonic Orchestra (PPO), founding president of the Philippine Band Association (PhilBanda), and a teacher at the UST Conservatory of Music. He played the Baritone Horn during the Marching band auditions at the Capitol Atrium.